Instantly clean or strip the paint from any vehicle and make it look like new. In fact, we will even come to you to do it! 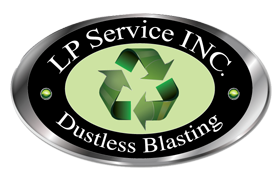 Our mobile dustless blasting equipment can be transported right to your location and is ready to go immediately. This is especially helpful when stripping a car that can’t be moved. Since our service doesn’t create any dust, you can relax with the knowledge that there won’t be any type of dust cloud on your property or any dust residue around the blasted area. Also, our mobile dustless blasting service doesn’t create any excessive heat, and your automobile won’t warp or require any further sanding after treatment. We simply strip off the paint, rust and/or body filler and your automobile will be ready to prime.